The Conwy Valley at the edge of Snowdonia is a place of unsurpassed beauty clothed, it is said, in every shade of green imaginable. Despite the farming of its lands, the planting of great swathes of forest, building of roads and the railway, the valley has remained relatively unchanged throughout the centuries. Apart from the natural beauty of its rivers, lakes and vistas of the rugged Snowdonia mountains there are numerous places of interest to visit during your stay. 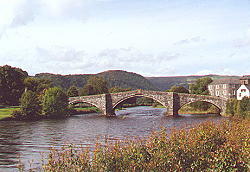 Llanrwst, the 'capital' of the Conwy Valley is an ancient market town built on the banks of the River Conwy. The ancient three-arched stone bridge leads into a town made up of narrow streets offering a plethora of shops selling goods from everyday needs to home baked bread and Welsh delicacies to butchers shops selling locally produced lamb. There is something to suit all palates in the variety of restaurants, bistros, cafes, take-aways and olde worlde tea-rooms. 15th century church with beautiful carved rood screen, effigy of Hywel Coetmor and stone coffin of Llywelyn the Great. recently restored 17th Century Almshouses. Welsh afternoon teas are served in this ancient courthouse with its low oak beams, now in the keeping of the National Trust. 16th century Manor House that was the ancestral home of the Wynns of Gwydyr. 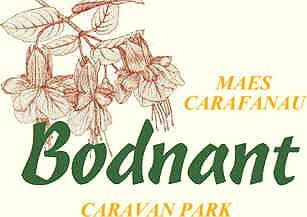 Zip wires and aerial ropeways (discount vouchers available when you have made a booking with Bodnant Caravan Park) . Enjoy an action packed time on these aerial ropeways. Surely the greatest garden in Wales. 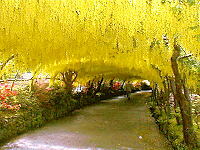 Famous for its Laburnum arch. 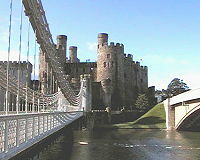 The site is conveniently located for visiting the attractions of Snowdonia and North Wales. If using Satnav please use postcode of LL26 0SD (O=zero) - see note on front page about how to approach from A55. View our location on GoogleMaps.